You may have noticed, between the insect exo-skeletons in Mrs. Barnes’ window and the array of trophies in my window, a roomful of cluttered bookcases. This is the leveled library, and we are in the process of organizing and sorting the books by level and into sets. It’s a long process and we’ve had the help of some great volunteers. Although when you peer in the window it doesn’t look so organized, it is already being used by our teachers. What is a leveled library? A leveled library is an “instructional library.” The books in this library are chosen by the teachers, not students, to be used for teaching purposes, mostly in guided reading groups. The books are sorted by instructional reading level and come in sets of 6. They are also in the process of being indexed for supporting instruction in specific reading skills. Some of the books are “trade books” books created specifically for instruction, and others are children’s literature written by well known children’s authors. The other libraries—classroom libraries and the Montgomery Library —are for student choice books. Books in those libraries are not organized by level, and the students can pick the books they want to read for pleasure. The leveled library is extremely useful to our teachers in selecting books to use that will spur growth in reading skills. For that growth to occur, the text must be in a zone for the individual student that is not too high, or the student will be working too hard to comprehend to execute a reading strategy, and not too low, or the text will be too easy for that student to apply skills to build comprehension. Learning to read is more than decoding words only. Students must learn a wide array of strategies to comprehend and analyze texts, and in order to practice new skills and build on previous skills they need to be working with the right material and in the proper context. It’s a little bit like sports practice. I might move a talented soccer player to practice and play with a slightly older group that pushes her growth, but if I put her too high up the expectations will be beyond her and she will not be able to execute—she’ll be overwhelmed by the ability of the others or the sophistication of the drill. Similarly, if she continues to play at a level where she can totally dominate, she is not going to be challenged to grow and develop new skills. A guided reading group, with peers working on similar skills, using a text that is in the right zone, is what a student needs for surges in reading skill growth. The leveled library provides the teachers with good resources to meet the needs of their students. But it takes a while to organize and index the library! These quotes and more grace the entry to Don Myers’ Idea Lab, the spot in the Middle School where making mistakes (and bouncing back from them) is on display each and every day. As students employ engineering design thinking, they often encounter setbacks and challenges on their way to creating a workable robot or building an effective phone charger. Resilience is the ingredient that permits our students to revise and retool, leading eventually to a finished product of which they can be proud. Students who demonstrate resilience finish what they begin and try very hard, even after experiencing failure. They work diligently and independently, seeing setbacks as temporary. They have effective coping skills and a positive self-concept. They cope in the face of adversity, and resilience is often related to perseverance. Strongly correlated with academic achievement, resilience also has value in the workplace, in personal relationships, and in managing life’s challenges. Suggested reading on grit, perseverance, and resilience includes Paul Tough’s How Children Succeed and Angela Duckworth’s work at the University of Pennsylvania. On the Mission Skills Assessment administered at Greenhill, boys score higher on resilience than girls, and there is a strong correlation between resilience and life satisfaction. Our own Middle School Exemplars lists ”Reacts resolutely to setbacks” as a specific behavior to encourage and teach in our young people. When Middle School teachers observe students who seek assistance after a disappointing grade, who learn from their errors in judgment, or who move through disappointment to yet another attempt, they know that they are seeing the emergence of a resilient and positive self-concept. The data provided us by the MSA and the sharing of programs with other schools like Greenhill are allowing us to learn new ways to coach and encourage resilience. Although defined often as bouncing back from failure, I see resilience more as the ability to move on, select another path, or firmly problem-solve in the face of disappointment. Middle School is the perfect place to develop resilience, a skill that has far-reaching benefits. On the day after the Winter Break all of our faculty and staff came together for a full day of professional development work around this idea. We ended the afternoon with an incredible exercise called “the iceberg.” We broke up into groups of around 40 people and each person drew their own iceberg – listing the visible identifiers each of us had that others could easily see, and then underneath sharing those things we carry that are unseen but that impact us every day. We all then posted those icebergs anonymously around the room. I will never forget how it felt to walk around the library and read what people shared. We all have things that make us feel like we aren’t part of the majority, or that we are the “other”, in some contexts. 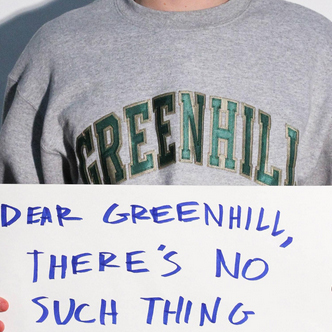 Greenhill School is, as our Mission Statement emphasizes right in the first line, “a diverse community of learners.” The cultures represented on this campus are myriad and it’s essential that we understand how to learn, grow and work together, harnessing the strength of the different perspectives we all bring. I might even say that such work is not only critical, but imperative, if we are going to prepare our students successfully for college and beyond. We are also doing this work with our students. We have plenty of clubs in the Upper School that do ongoing work around issues of diversity such as Another Perspective and True Colors and the Social Justice club, but we’ve spent the fall in the Upper School trying to broaden that conversation to all Upper School students. Just as we saw with faculty in the iceberg exercise, we know that our students are incredibly diverse in their backgrounds, ideas, family structures, value systems, etc. It’s essential in our jobs as educators that we help students learn how to respect, understand and find pride and value in the different perspectives they and their peers bring to our campus and community. Dr. Karen Bradberry, our Director of Equity and Inclusion, has been leading workshops for Upper School faculty and students on “micro-aggressions” – a term popularized by Dr. Derald Wing Sue, a psychology professor at Columbia University. He defines them as “brief, everyday exchanges that send denigrating messages to certain individuals because of their group membership.” They are generally unintended slights; in schools they often take the form of “jokes” or casual exchanges that may go unrecognized as slights by a person hearing them who does not feel “other” in that context, but that can have harmful effects on members of our community. This sort of thing goes on in schools, offices, and organizations all the time; we are no different as we are intentionally and foundationally a diverse community. However, what I hope makes us different is that we decided to approach this head-on rather than pretend its effects don’t exist. After the groundwork was laid by our faculty, the seniors decided that they wanted to do something further to bring this issue to the attention of our broader community. At this week’s C Day Meeting, an all-Upper School assembly, the students made signs detailing micro-aggressions they had heard or had experienced directly. They each came to the front of the assembly and spoke into the microphone in front of all of their peers. It was a moving and extremely powerful display of honesty, bravery and leadership by our students. I am always proud to be a member of this community, but this was something special. Here is a link to the assembly itself: https://www.youtube.com/watch?v=wtixLNdBcg0&feature=youtu.be and to a gallery of photos of some of the students taken by senior Ariana Zhang after the assembly: http://imgur.com/a/Yf47C. 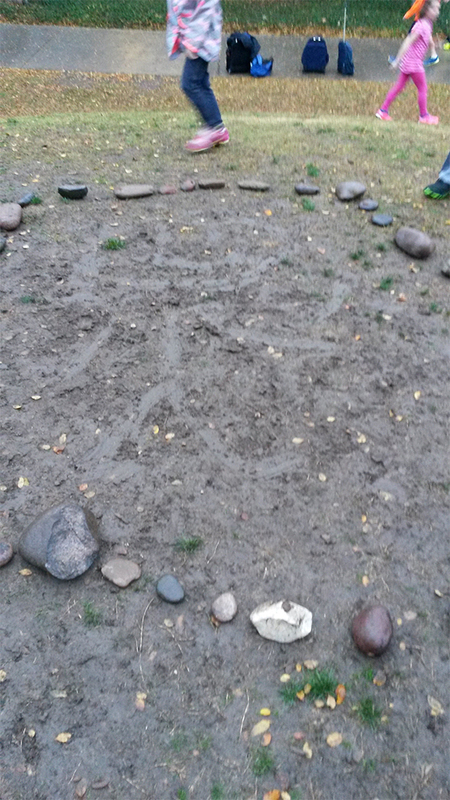 For three days now, the hill on the Lower School playground has been slick with mud. Each morning Tony has begun his drawing. Sliding first one foot and then the other in a backward motion, Tony connects the strokes of the head. Then he’s off to clean his shoes. The eyes and mouth and nose come next. That’s as far as he gets on the first day. Thursday arrives and there’s Tony ready to go to work. With a cover of clouds, this morning has less light than yesterday so it is difficult for him to find the lines of the day before. Undaunted, he begins again. It is a bit drier today so his foot must go slower making smaller strokes. The greater effort is shown on his face as he presses hard with his foot to penetrate the earth. This time only the shape of the head is visible as our morning time ends. There’s quite a bit of moisture in the air and even less light the next morning. Tony is the first to arrive. “Yessss!” he says as he runs up the hill. He quickly slides his foot down and around for the head. In the blink of an eye (no pun intended), the facial features appear. The face is smiling; so is Tony. He’s not finished though as he begins to work on the body. A few of us gather to watch. Tony’s shoes are heavy with mud; down the hill he goes to scrape and stomp the mud. With a little help, his feet become light and he’s back to work. Working against the clock, he completes the body, arms, legs, and feet. However, he’s not finished. Uh-oh! Dylan hasn’t seen Tony’s work and steps on a part of it. Tony quickly explains his work to Dylan. Tony has a plan and soon a frame of rocks begins to appear. The rocks are far away and the rocks are heavy from a first grader’s perspective. What’s this? It’s not just Tony building the frame. There’s Dylan and other friends carting those river rocks to the top of the hill to form a solid protection around the mud man, which has moved from Tony’s mud man to the mud man. Several of the third and fourth graders who have been playing virus tag stop to take notice of what is going on and admire what Tony has done and the work the others are doing to protect his work. It was fascinating to watch a single person’s work become owned by many. Isn’t it wonderful what children can see! My class, for years, for better or worse, has been mine. I’m not sure how to think about this autonomy. On certain days, this autonomy can lead a teacher to be complacent—leaning on this student to keeping the discussion alive, allowing that student to say nothing (yet docking her points in a gradebook for her complacency). On some days, like many teachers, I needed somebody to tell me that I was coasting. On other days, I needed somebody to know how well things were going in my classes. I’ve also had far too many successes that went… I dunno… underappreciated, or completely unknown. This trimester, my junior poetry seminar has worked because I have assembled for me and my students an authentic audience, and we have all been mindful of that audience, both online and IRL. Lit Genius allows my students to read critically in and for a community. The Genius site rewards students “IQ points” for annotating a text. Sometimes, it’s a comment that they want preserved from our conversation; sometimes, it’s a comment that they make before class. Since there’s an IQ to earn, my students could see rewards for their efforts and see their progress compared with their classmates. After a couple of weeks, I asked them what should earn more points–defining a difficult vocabulary word or making an incisive thematic observation? Well, they replied, without knowing a word, you might not be able to make an incisive observation. My students began to appreciate their roles in deepening the understanding of others, and without quite being aware of it, they began to to think critically about which of their skills needed sharpening. (One student told me, “I don’t want to always be the one upvoting somebody else’s comment.”) In turn, by “following” my students’ activity on Lit Genius, I can offer very precise skills-based suggestions: “Thanks, J. You seem to have meter down. Look closely tomorrow at Lowell’s use of slant rhyme–I’m interested to see what you think about it.” Please have your students poke around in and comment on our work! Simultaneous with this public curating of our class discussion, I’ve experienced great success in building community on my campus through poetry. As a father of three little kids, I’ve been invited by lower school teachers to join their classes as a “mystery reader”. At story time each day, the kids don’t who will show up to read, and their faces light up to see a new person each day. So I stole the idea, reaching out to my entire campus for mystery guests to show up and read to my juniors. The response was overwhelming–all departments, all divisions, teachers, learning specialists, coaches, administrators, etc. Fourth-grade teachers teared up to see how mature their former students had grown; coaches delighted in the chance to discuss what James Wright gets right about athletics; trusted colleagues on other campuses Skyped in their readings; and even renowned poet Joshua Mehigan jumped in to help. Now I have an expanding playlist that not only reminds me of the trust that I have built among my colleagues but also helps reinforce for my students the importance of narrative voice for each literary work. At the risk of resorting to HS-English-teacher stereotype, allow me to quote Whitman: “Unscrew the locks from the doors! / Unscrew the doors themselves from their jambs!” Open up your classrooms. Or at the very least, step through my open door, look around, listen, and let me know how we can help each other out. Take a stroll through any major university and you can find great halls and facilities dedicated to the teaching of specific disciplines. K-12 schools start to look that way as you move through the upper grades. You can find classrooms where the beauty of mathematics is shared with students. English and History is learned in their respective pods while Science and Art have their own buildings. In many cases, this is necessary because of the nature of the materials used within the teaching of these disciplines. However, one effect that stems from this physical segmenting of the distribution and manipulation of knowledge is the creation of knowledge silos where discipline specific problems are addressed. These knowledge silos bear little resemblance to how we naturally learn and how the world works. Most of the world’s problems do not have answers that reside in any one discipline. Answers to, and understanding of, real world problems reside at the confluence of multiple disciplines, are highly contextualized, and often quite messy. Those who know me know that I do not like the idea of knowledge silos. Useful knowledge, knowledge that can be retained for life, must be connected in context with knowledge from interacting disciplines. While knowledge silos are common at all schools, there are ways that schools can to break down silo walls and connect what appears as disparate information. These connections may be built through problem based learning activities, and experiential education. One of the things I have really enjoyed about my 18 years at Greenhill is the openness to new ways of teaching and learning. Greenhill’s flexibility of curriculum and method allows for new approaches including problem-based learning and experiential education. While some experiential learning occurs on short day trips in the Dallas area, the School has also expanded opportunities for students through extended travel. Examples include past trips to China, Korea, Australia and New Zealand and the upcoming New York Broadway experience. Learning through travel is transformational in ways unmatched in classroom experiences. As a child of a park ranger and two school teachers who never missed a sabbatical, I have been the lucky recipient of some amazing experiential learning including six months of travel that included three months in Europe and one month in Britain. Yes, this involved being pulled out of school for half a year, but I was so much richer from the experience. Additionally, most know me as the Director of Educational Technology at Greenhill but few know of my 20 summers of growing up in Yellowstone National Park. This period of time was marked with a complete lack of technology and for a considerable time, no gas, electricity or running water as I spent extended periods of time living in backcountry patrol cabins within the park. As a young child, while my peers in California might play ball in their front yard and ride their bikes, my parents instilled in me the need to come inside if bears, moose and other large wild animals were visible from my “yard”. This park living can bring some unexpected visitors to your game of kickball. I found that I became more aware of my surroundings and my place in that space. The learning was organic and did not follow any real prescribed path of any one discipline. There was always a sense of place: past, present and change for the future. History informed science and vice versa. As an example, experiencing the changes in the parks fire management practices over 20 years reflected new thoughts about how mature forests function, the role of fire in the ecosystem, fire science, past practices and integrated cultural practices of those who lived in the area long before Europeans landed on the North American Continent. These policy changes also indicated the need to consider changing climates as well as insect infestations and human impact on the area. Learning is messy and to be allowed to make these types of connections through experience is what makes them so rich. The ability to see how different disciplines can inform each other when contextualized in a real-world problem is a powerful and transformational force. In the spirit of this type contextualized experiential learning I am pleased to announce a new opportunity starting this summer for students in the Upper School. Immediately prior to holiday break, a unique new class was approved for Upper School students starting this summer—The History and Science of our First National Park. This class offers a two week cross-disciplinary experience in History and Science. Students taking this class will earn two history or two science elective credits based on their preferences and the artifacts of understanding they produce at the conclusion of the class. 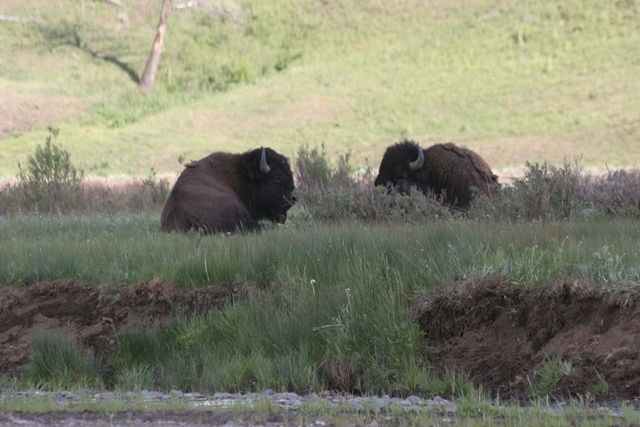 However, they will have the opportunity to participate in all aspects of the class as they experience the wonders of Yellowstone National Park and the way history, science, culture, and politics have shaped the park, and how these all combine with self to define personal experiences and ones place in nature. Stacey Wink, Middle School Science Teacher, and I will lead the class. We will start June 8 with three preparatory days on campus. 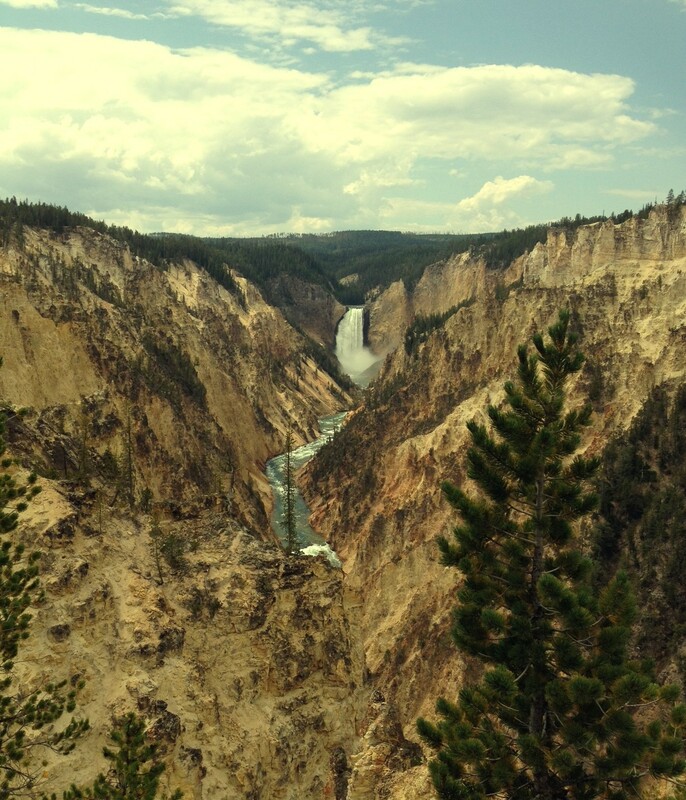 Then we will depart for 14 days in the Yellowstone National park and surrounding areas. Students will camp nearly every night in park campgrounds and explore different regions each day. 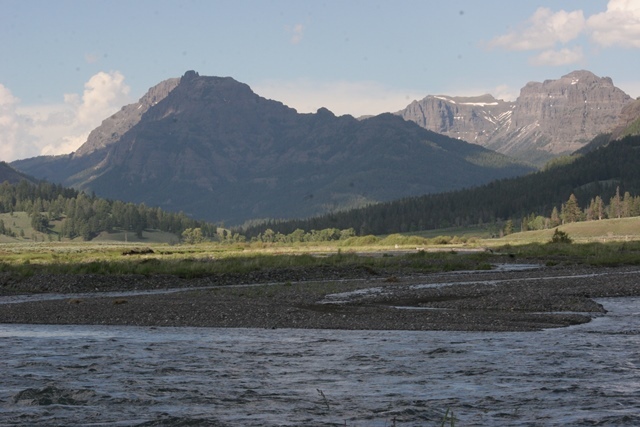 The class will also spend three to four days traveling in the Yellowstone backcountry and staying in backcountry campsites. Lessons are just-in-time as students get to experience the park as they are learning about past and current American Indian Cultures, early explorers, geology, fire ecology, changing wildlife conservation practices, water quality issues, geothermal structures and processes, and more. The learning is all contextualized through our common experience and explored through lenses of local, regional, state and federal politics and policy and blended with the rich history of the American West. Beyond the academics, students have a chance to develop many new skills including wilderness camping, outdoor camp cooking, and survival skills. Nothing connects you more to nature than your gathering food, and making a fire with which to cook with and keep warm—a vision of our past, it is a present reality for millions of people in many cultures across the globe. Some of the greatest life lessons often come from these types of experiences and can’t be scripted or taught. They are organic, stem from within the individual as he or she works through how different knowledge types connect and what it all means. In short, the greatest lessons learned by students are often lessons about themselves. So as the summer rapidly approaches, students will soon hear more about this new opportunity. It is my hope that this will be the beginning of additional experiences which are made possible by Greenhill’s openness to allowing teachers and students to think flexibly around curriculum and what it means to teach and learn in a dynamic and connected world.